Q: Does Lucy Pet pet food contain any meat by-products? No. Lucy Pet Formulas for Life does not include any meat by-products. Lucy Pet formulas are not designed to address any specific medical condition. We advise that you consult your veterinarian regarding any specific health issues. Q: Does Lucy Pet have a frequent buyer program? The program rewards you a free bag of food or litter, after the purchase of 12 bags in a 12-month period. The free item must be the same size as the prior 12 bags purchased. You may change the formula within size. There are two ways you can participate and earn a free bag of food or litter. 1. Shop online at LucyPetProducts.com/shop or 2. Purchase the 12 bags at a participating independent pet specialty retail store. Please note: To be eligible to redeem a free item, all 12 purchases must be made within the same channel (either all 12 online at LucyPetProducts.com or all 12 purchased in a pet store). We regret that we are unable to track purchases made in a pet store to apply toward online purchases. We are not able to apply purchases from other online websites toward the redemption of a free bag as part of the Lucy Pet Rewards Program. 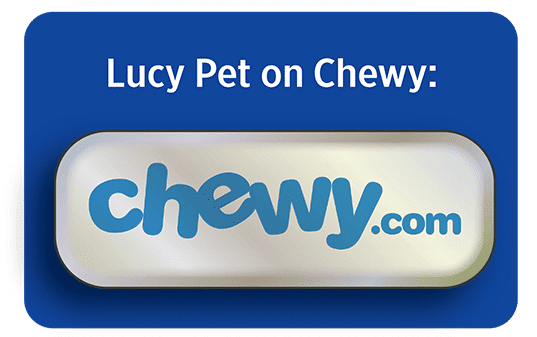 Q: Does Lucy Pet offer any products for pets with food sensitivities? Yes. Our Limited Ingredient Diet Duck & Potato formula is an excellent choice for dogs with food sensitivities. Q: How does this product compare to a raw diet? The key to switching foods is to do it gradually, so your pet’s digestive system can adapt to our formula and nutrients. Start by replacing 20-25% of the current food you are feeding with Lucy Pet Formulas for Life. Each day, gradually increase the amount of new food and decrease the amount of the former food until your pet is eating only the new diet. In some instances, a pet can experience soft stools during the first week when you switch and transition to any new food. Lucy Pet Formulas for Life™ digest easily and most pets transition smoothly. However, if your pet’s stool becomes loose, it may be necessary to transition more gradually to the new diet. For your convenience, we have prepared a printable copy of these instructions. Click here to download a copy. Q: Is your cat formula low ash? A. The chicken meal we source for our cat food has a low ash specification. Low ash ingredient chicken meal costs more to procure, but we understand that this is important to pet parents for the health of some cats, in particular for senior cats. A variety of ingredients in a formula (other than chicken meal) contribute to total ash, and we take that into consideration when we formulated this diet to be within the specifications for our diets. Q. Why did Lucy Pet decide to get into the pet food business? Our founder and President, Joey Herrick was a pioneer of natural pet foods nearly 30 years go. He developed many innovative products with unique formulations that improved the quality of pet food at a time when many pet foods were using basic quality ingredients. Always one to innovate and never copy, Joey started doing the research of what is missing in today’s diets for dogs and cats. He found that there are a lot of foods all saying the same thing in their marketing and started looking at it from a different point of view. After reading studies in human health about digestion and gut health, he learned that there are 100 million more neurons in the digestive system than we have in our spinal cord. Experts believe the digestive system does far more than to process food. University researchers call the gut the second brain. Since the basic digestive systems in humans are similar to dogs and cats, Joey decided that digestion is something that needs more attention for the health of our pets. He found the most accomplished, respected and influential animal nutritionists in the industry who had been conducting research on the importance of fiber in the health of animals. He found that the types of fiber used in foods can make a real difference, and realized this nutritional research could bring significant health benefits to dogs and cats. Q. What makes Lucy Pet Formulas for Life™ different? Lucy Pet is proud to work with Dr. George C. Fahey, one of the world’s leading experts in animal nutrition. Our Formulas for Life(™) diets are based on Dr. Fahey’s 40+ years experience. His extensive body of published nutrition research has established him as a bona fide expert in the pet industry worldwide. He heads our team of nutritionists to ensure our diets are precisely balanced and formulated. The beauty of Lucy Pet is the science behind our diets, so each kibble has the extensive experience of our team of nutrition experts. We go above and beyond to source quality ingredients such as French and USA-grown duck meat, US grown quinoa, pumpkin, sweet potatoes, wild Alaskan salmon, and more. Our diets focus on Gut Health by creating a healthy digestive system to feed the entire body system. It is so special we developed our P.B.F Prebiotic Balanced Fiber ™ blend with unique ingredients such as quinoa, pumpkin, and chickpeas. Q. Are your formulas natural? Lucy Pet Formulas for Life ™ are made with natural ingredients, plus vitamins and minerals to ensure proper absorption. We do not add any Artificial Preservatives, Flavors, Colors. Q. How did you come up with your feeding guidelines? All Lucy Pet Formulas for Life ™ diets are formulated to meet the nutritional levels established by the AAFCO Nutrient Profiles for All Life Stages, including growth of large size dogs (70lb of more as an adult). Nutrient analysis of our formulas determined the caloric content and KCALs per cup. The resulting feeding guidelines are based on the National Research Council’s Nutrient Requirements of Dogs and Cats. This data base is the culmination of scientific research and feeding trials for canines and felines and is what veterinarians use as well. Q. Is your food recommended by Veterinarians? Yes. Our foods are recommended by Dr. Karen “Doc” Halligan is the Chief Veterinary Officer of the Lucy Pet Foundation and is a renowned veterinarian, author, and celebrity spokesperson. She has developed a distinguished veterinary medical career while establishing herself as a national authority on animal health. She is a sought-after pet health expert and featured spokesperson in the media. As a practicing veterinarian, she understands the importance of feeding high-quality nutrition in the overall health of an animal. We recommend consulting your veterinarian for specific health questions for your pet. Q. Where are your foods made? All Lucy Pet Formulas for Life ™ are manufactured in the United States at trusted facilities. We source ingredients globally from trusted suppliers, but absolutely no ingredients are from China. We believe that every pet deserves the very best, including nutrition with natural ingredients from trusted, responsible suppliers, and manufactured in American facilities to provide jobs for Americans. Manufacturing plants are HACCP certified and, exceed FDA, AAFCO, CGMP, and USDA industry-wide standards. Q. Why don’t you have a Puppy or Kitten Formula? All Lucy Pet Formulas for Life ™ diets are formulated to be complete and balanced for all life stages of puppies and kittens to adults and senior pets. Our formulas are nutrient-dense, with high-quality proteins, carbohydrates, fats, and fiber, as well as the essential vitamins, minerals, supplements and antioxidants necessary for growth and development. Q. Why don’t you have a Senior Formula? All Lucy Pet Formulas for Life ™ diets are formulated to be complete and balanced for all life stages, including senior pets. Our formulas are nutritious with high-quality proteins, carbohydrates, fats, and fiber, as well as the essential vitamins, minerals, supplements and antioxidants necessary for growth and development. One very important factor in senior pets is to maintain a healthy weight. Obesity is the leading health issue in senior pets, so we recommend following our feeding guidelines based on the age and weight of your pet. Equally important with senior pets is to ensure regular exercise to keep them fit and healthy. Q. Is your packaging recyclable? Our bags are recyclable and non-pollutant; however please check with your local community recycling program to understand what types of packaging they accept. Q. What is P.B.F. Prebiotic Balance Fiber ™? Our Exclusive P.B.F Prebiotic Balanced Fiber ™ is a breakthrough nutritional advancements for optimized digestion and gut health. It promotes a healthy gut environment and enables absorption of desirable nutrients. Until recently the importance of the gut in overall health wasn’t understood. Today we know that the digestive tract goes far beyond just processing the food your pet eats. That’s why we developed our Lucy Pet P.B.F. Prebiotic Balanced Fiber ™ Your pet’s gut plays a key role in natural immunity to disease, and maintaining a healthy gut can contribute to a healthier pet. Your pet needs bacteria in the gut for a variety of reasons, such as healthy digestion and gut function and bacteria from getting out of control. Having a diverse population of prebiotics provides nourishment for the gut bacteria, which in turn nourishes the entire body. This approach can be the first line of defense to helping to keep the entire body healthy. What is the difference between Prebiotics and Probiotics? Prebiotics: A non-digestible food ingredient, (such as fiber) that supports a favorable environment for bacteria and cells in the gut wall of the digestive tract. Prebiotics enable the growth & activity of bacteria that populate the gastrointestinal tract. Prebiotic fibers ferment during digestion and grow bacteria in the gut (digestive tract). These bacteria add to any probiotics that naturally occur. Probiotics: Probiotics are a dietary supplement containing live bacteria that adds to the bacteria normally present in the gastrointestinal tract. They are living organisms that must remain alive in order to work. Probiotics can be diminished or even die completely when exposed to heat, long periods of time, and acidity. If you see products with probiotics added, there is a possibility that by the time you use it, the probiotics may be dead and offer no digestive benefit to your pet. Q. Why is Fiber so important? We all know that fiber is important because it promotes the movement of food through the digestive system, and produces consistent stools. However, new research shows that having a variety of fibers with a precise blend can produce an optimal environment in the digestive tract to create prebiotics to perform at their peak. Prebiotics are fermentable fibers, also known as a resistant starch. Resistant starches are dietary fibers naturally found in foods like whole grains, and legumes such as beans, lentils, and peas. Your pet’s gastrointestinal system uses acids, enzymes, and other secretions to break down food as it passes along. As the fibers break down and ferment, they produce prebiotic bacteria. Your pet needs bacteria in the gut for a variety of reasons such as improving digestion, keeping the body healthy, and helping other systems performing. The prebiotic fiber ingredients will ultimately encourage better nutrient absorption. Q. How does P.B.F. Prebiotic Balanced Fiber work? Our P.B.F. blend delivers prebiotic fibers to nourish the billions of bacteria. Our prebiotic ingredients are resistant to digestion in the stomach and small intestine but are totally or partially fermentable in the large bowel. Prebiotics provide nourishment for the bacteria and the gut. The P.B.F. prebiotics often results in a lower pH in the large bowel. The lower pH is the result of more short-chain fatty acid production. The major SCFA’s are acetate, propionate, and butyrate, and each has an important role in the gut and in host animal metabolism. Q. What is a healthy immune system? A healthy immune system means that the immune system is able to respond appropriately when faced with different challenges. Every day your pet’s immune system is challenged by viruses, bacteria, environmental toxins and other pathogens. In addition stress and poor nutrition can also affect immune health. Q. What role does the immune system play in health? The immune system is made up of a network of cells, tissues, and organs that work together to protect the body. The immune system not only affects health, but energy levels, ability to deal wth stress and more. Q. What is the microbiome? The body contains trillions of microbes to form the microbiome, or gut flora. The microbiome is a key part of digestion, impacts immune strength and recent human health studies suggest plays a role in many more aspects including weight and mood. Prebiotics help support bacteria in the gut mircobiome which may lead to improved health. Gut Health is about achieving balance in the digestive system. Everything we eat or drink affects our gut bacteria diversity, and ultimately our overall health. Diets low in fiber may not create a thriving gut environment. Prebiotic fibers help to keep it flourishing, keeping the gut health on track. Consuming a wide variety of prebiotic fibers encourages gut bacteria diversity. Prebiotics are a special class of functional food ingredients that resist digestion in the stomach and are selectively fermented in the colon (large intestine). While most prebiotics are dietary fibers, many dietary fibers are not prebiotics. Not all dietary fibers are considered prebiotics, as some aren’t fermented by the gut at all, as is typical of non-soluble fiber, or aren’t selectively fermented, meaning they feed gut bacteria. Q. What is miscanthus grass and why do you use it in your formulas? Miscanthus grass is a non-GMO, perennial warm-season plant grown and harvested in the USA. It is one component of our exclusive P.B.F Prebiotic Balanced Fiber blend because it is an excellent source of fiber not commonly used in pet foods. Fiber is essential for a healthy digestive tract, and we utilize miscanthus grass to compliment our variety of fibers to achieve prebiotics in the gut. Grass also contains some nutrients for pets. You may have observed your dog or cat eating grass when they are outdoors or when it is available, in part because they simply enjoy it. Some will instinctually eat grass as a natural remedy to help soothe their stomach or aid in digestion. Q. Why do your Salmon, Pumpkin & Quinoa formulas contain Chicken Meal? We developed the Lucy Pet Formulas for Life ™ Salmon, Pumpkin, and Quinoa Grain-Free Formula to include high-quality chicken meal to meet required protein levels and to ensure the formula does not exceed the newly AAFCO established maximum levels for vitamin D.
The Association of American Feed Control Officers (AAFCO) substantially lowered (by 60%) the maximum levels of vitamin D for dogs & cats in pet food. Fish is naturally high in vitamin D, so existing fish-only formulas will need to reformulate to lower the percentage of fish and add another source of protein (either poultry, meat or plant protein source). Symptoms of excessive vitamin D include vomiting, weakness, muscle atrophy, calcification of soft tissue, dry, brittle hair, lethargy and more. Lucy Pet is proactively compliant with new AAFCO regulations and added high-quality chicken meal to its Salmon based formulas to achieve proper protein levels. Q. Does your Duck or Chicken Meal contain antibiotics or growth-hormones? No. Since we buy our duck and chicken meal only from a specific supplier, we can trace every ingredient lot back to the farm to be certain that are free of antibiotics and artificial growth hormones. Q. Does your salmon or salmon meal contain Ethoxyquin? We do not add any ethoxyquin to any of our ingredients and do not purchase any ingredients that have it added. We carefully source our salmon and salmon meal from the cold waters of Alaska and preserve it naturally with mixed tocopherols and citric acid. Q. Do you use any BHA, BHT, Ethoxyquin or Propylene Glycol? Q. Do you use any artificial preservatives? No, artificial preservatives, flavors, colors or sugars are added. Q. What is the difference between chicken meal and chicken by-product meal? We use a low ash, chicken meal, a high quality protein source that contains muscle meat. By AAFCO definition and law, it cannot contain heads, feet or intestines. Our chicken meal is high quality and does not contain any “4-D” ingredients (dead, dying, diseased or disabled animals) or any other waste products. We do NOT use Chicken by-product meal, which contains various parts of the chicken, including heads, feet, intestines. Q. Do you test your salmon for metals such as mercury? Yes. We source our salmon from Alaska and test for metals. Additionally, all of our finished diets are tested for heavy metals post production. Q. Where do you get your meat and fish from? Is it factory farming? Lucy Pet cares about your pet and the source of proteins used in our diets for your pet. As such, we are committed to only use the highest quality, safe ingredients from trusted suppliers with Safe Quality Food (SQF) Level 2 Certification, a recognized standard by the Global Food Safety Initiative. These suppliers are fully vetted and government inspected for their practices starting from ranch or farms. Our supplier controls the entire supply chain, we can vouch for the quality of all our products. From farm to manufacturing, full health & traceability documentation. We do not source any ingredients from China. Our Duck is from France, USA, and Canada, Salmon is Wild Alaskan Salmon, and our Chicken is from the USA. Q. I read that taurine is essential for cats. Is it in your food? Yes. Taurine is essential for cats and kittens for the proper functioning and health of the eyes and heart. It is also beneficial for dogs, so it is added to all our diets. Q. Why are your dog formula protein levels in the 23-25% range when some brands are as high as 40% protein or higher? At Lucy Pet, we formulate not based on trends of fads, but what is best for the animal. Our team of nutritionists and experts has over 200 years of combined experience in animal nutrition. Using science and fact as a guide, we set protein levels, along with levels of fat, carbohydrates, and fiber at optimal levels for peak performance. We do not distort one nutrient just for marketing purposes to “win” a sale. Despite what some brands of pet food offer, dogs and cats bodies will not absorb or utilize protein beyond a specific level. It is also our nutritional philosophy that excessive protein levels can unnecessarily tax some vital organs. There are no long-term scientific studies on the effects of feeding extreme protein levels, and as such we do not recommend that consumers select a pet food based on that single criteria. Q. I have read about calcium and phosphorus levels, are yours correct? Yes, we follow AAFCO guidelines for our formulas. High levels of Calcium and Phosphorus can interfere with absorption of some trace minerals and cause deficiencies over time. Lucy Pet has carefully formulated our diets to ensure our levels meet the correct specifications of AAFCO. Q. Will the fiber in this diet cause more stool than other diets? Some pets will have a moderate increase in stool. Our formula adds quality fibers for specific dietary health benefits. The stool volume initially varies by a pet, due to the overall condition of the gut, including factors like stress, the current health of the animal, etc. When changing your pet’s diet, you may observe a slightly larger stool volume for the initial transition period. This is normal and your pet will adapt after a short period. If you see a significant change in stool volume during the transition period, it is best to take a slower approach to changing your pet’s food, to allow their digestive system more time to adjust to the new diet by slowing the transition amounts of old food to new food. Q. What is considered a normal stool for my pet? Generally speaking, a healthy canine/feline stool is moist and firm, sometimes segmented, and has a mild odor. Color: Under normal circumstances, the stool is a chocolate-brown color. Coating: Poop should not have a coating or a film over it. If you’re picking up your pet’s stool off the grass, there shouldn’t be any sort of trail left behind. Content: The inside of a stool shouldn’t look any different from the rest of it. When transitioning to our higher fiber diet, some noticeable changes in stool volume may occur. This reflects a more healthy digestive tract. Q. Is it normal for my pet to have softer stools or diarrhea when I first switch to this food? The key to switching foods is to do it gradually. In some instances, a pet can experience soft stools during the first week when you switch and transition to any new food. Most pets transition easily to Lucy Pet Formulas for Life. If your pet’s stool continues to be loose, it may be necessary to transition more gradually to the new diet. Be sure to temporarily eliminate any treats or wet food for the first few days, and follow feeding guidelines closely. Due to our nutrient density, Lucy Pet diets may require different feeding quantities (usually less) than the food you were previously feeding. Q. What should my pet’s stool look like? Once your pet has fully transitioned to Lucy Pet Formulas for Life ™ the stools should be firm and well formed. You should be able to easily pick up your pet’s stool and see “scoring” segments. Most dogs will have a bowel movement 1 or 2 times a day, while cats may be 1-3 times per day. Q. Will the P.B.F. fiber cause my pet to have gas? During the transition period of changing your pet’s diet, it is normal to observe some low to moderate flatulence (gas). This is a normal transition as your pet’s digestive system adjusts to the new ingredients. Once your pet has fully transitioned, this should discontinue. It is important to note that most often, gas occurs from swallowing air. Observe your pet to see if there is any eating behavior such as gobbling up food quickly due to competition from another pet, or stress in the eating area. Always allow your pet to eat in peace, so they can relax and enjoy their food. Q. Why don’t you use wheat, corn or soy in your products? While these ingredients are not “bad”, over the years, some pets have been exposed to those ingredients and have developed food sensitivities to wheat, corn and soy. Therefore, we do not include these in any of our diets. Q. What is the shelf life of your foods? Lucy Pet Formulas for Life ™ have an expiration of 15 months from the date of manufacture. We use no artificial preservatives, only natural mixed tocopherols (Vitamin E). Since oxygen is the enemy of kibble, it is best to store it in an airtight container. If you cannot store our bag in an airtight container or bag, be sure to roll the bag closed and tight to minimize exposure to air. This will also keep your kibble fresh and free of pests. Never feed a food after its expiration date. Q. How do I understand the Production Date code on your dry food bags? Production Date Codes are an integral part of Quality Assurance Program, as well as a way of providing tracking information on all of our products. Our date codes are easy to read, but also provide additional information for internal use. Q. How long will your food last once open? We use no artificial preservatives, only natural mixed tocopherols (Vitamin E). Since oxygen is the enemy of kibble, it is best to store it in an airtight container. If you cannot store our bag in an airtight container or bag, be sure to roll the bag closed and tight to minimize exposure to air. If stored properly, an opened bag can last 90 days. Q. How should I store your food? We recommend storing Lucy Pet Formulas for Life ™ in a cool dry place. Since oxygen is the enemy of kibble, it is best to store it in an airtight container. If you cannot store our bag in an airtight container or bag, be sure to roll the bag closed and tight to minimize exposure to air. This will also keep your kibble fresh and free of pests. Q. Is your Cat formula low ash? The chicken meal we source has a low ash specification. Low ash ingredient chicken meal costs more to procure, but we understand that this is important to pet parents, and to senior cats. A variety of ingredients in a formula (other than chicken meal) contribute to total ash, and we take that into consideration when we formulated this diet. Q. Why does the kibble color vary slightly? Lucy Pet does not use any artificial colors or dyes, and we never bleach ingredients. We prefer to use ingredients as nature provides from the farm or ranch. Normal factors in nature such as soil, weather, climate and season can affect the color of vegetables and proteins. Just as you might notice in the produce department at your local grocery store, vegetables sometimes vary in nature. Q. How often should I feed my pet? Nutritionists recommend feeding your pet twice a day, following feeding guidelines as directed for your pet’s age and weight. Your veterinarian can help you determine the optimal feeding schedule and frequency, depending on the health of your cat or dog. Q. Is it ok to “free feed” my pet? Lucy Pet recommends to follow the feeding guidelines, generally twice per day. The objective is to ensure your pet does not become obese, so if your pet tends to over eat, measured feeding times are the best option to keep your pet at optimal weight. Q. Can I give my pet some table scraps? We strongly discourage from feeding table scraps to your pet. Lucy Pet Formulas for Life ™ are complete and balanced with the correct levels of essential vitamins and minerals pets require. Feeding table scraps over time are dangerous because they would consume less of their complete and balanced diet in favor of highly seasoned table scraps. This may also interfere with healthy digestion and cause stomach upset. Q. How can I determine if my pet is overweight or obese? Generally for most pets you should be able to see a defined tucked abdomen and distinct waistline. You should be able to feel the ribs if you gently rub your hand over the ribcage. Obesity is the #1 health issue for dogs and cats, and most pet parents are in denial about their pet’s weight. Consult your veterinarian to check your pet’s weight. A diet of restricted calories, measured feeding, and regular exercise will usually make a big difference in keeping your pet at a healthy weight. If your pet is overweight, be sure to cut back on the treats, those add calories too! Q. I thought cats were carnivores, so why are there carbohydrates in the cat diet? It is true that cats are obligate carnivores, but carbohydrates perform an important function in the diet and digestive process. They provide a source of energy, and also a source of fiber. The fiber-rich, complex carbohydrates we use as part of our P.B.F. Prebiotic Balanced Fiber ™ offer significant benefit to a cat’s overall health and wellness. Carbohydrates also play an important role regarding texture and shape of the kibble. When the starch in carbohydrates is cooked with other ingredients, they help bind the mixture to produce kibble with a specific texture and shape that is appealing to dogs and cats. The texture and shape are also important to support healthy teeth and gums. Carbohydrates in pet food can come from many sources, such as chickpeas, peas, pea flour. Q. My pet is pregnant/lactating. How should I feed them? Q. How much water do I need to give my pet? Your pet should have full access to fresh water at all times. A healthy pet will usually drink the amount of water they need. Many cats to not consume enough water due to accessibility or other factors. Since pets (cats especially) are often attracted to gentle “running water”, a pet water fountain may be a convenient option to encourage your pet to drink more water. Always monitor how much water your pet consumes. Water is an essential nutrient, and changes in water consumption are critical to observe as a potential indication of other health issues. Q. I’ve heard some people say not to feed dry kibble, or that its better to make my own pet food. ​​Lucy Pet Formulas for Life ™ are complete and balanced with the correct and guaranteed levels of essential vitamins & minerals pets require. Our formulas use only the highest quality ingredients. Most of our ingredients are procured from human food suppliers. We never use rejected or poor quality ingredients. home cooking is time-consuming and significantly more expensive that a quality kibble diet. Incorrect preparation and improper cooking may deplete certain nutrient requirements, and result in a deficient diet, which could be harmful to the pet. These imbalances may be visible until it is too late. Q. Does Lucy Pet perform any laboratory testing on animals? No. Lucy Pet does not test any of its products on animals. We allow our own pets to use our products as we develop and perfect them. Q. Who regulates the pet food industry? The US Food and Drug Administration (FDA) is responsible to regulate all pet food manufacturers. The USDA is responsible to inspect pet food plants and perform full audits annually. The Association of American Feed Control Officials (AAFCO) is the non-profit organization that sets standards for both animal feeds and pet foods in the United States. They are an association of local, state and federal agencies charged by law to regulate the sale and distribution of pet foods. They are responsible to develop and implement uniform and equitable laws, regulations, standards, definitions and enforcement policies for regulating the manufacture, labeling, distribution and sale of pet foods. All Lucy Pet Formulas for Life™ are formulated to meet AAFCO requirements as complete and balanced as the primary diet. See our specific product labels for more details. Q. How do I know your foods are safe? Lucy Pet Formulas for Life ™ are made with truth in labeling, honesty in formulations and attention to detail. Our Quality Assurance Program gives you peace of mind that what you feed your cat or dog is safe and the highest quality. The health and safety of your pet are our top priority. We check every production run of our products for 9 known contaminants before distribution so that you can be assured they meet our strict Quality Assurance Standards. Our manufacturing plants are HACCP certified and exceed FDA, AAFCO, GCMP and USDA industry-wide standards. Our partner plant staff are also certified with Preventive Controls Qualified Individuals (PCQI) to comply with the FDA Food Safety Modernization Act.Visit our Quality Assurance page to learn more. Q. Where can I purchase Lucy Pet Formulas for Life™ ? Q. What countries are Lucy Pet Formulas for Life ™ available? Q. Do you offer coupons for your Lucy Pet Formulas for Life ™? We recommend checking with your pet specialty retailer to determine if there are promotions in your area. If you join our Lucy’s Friends e-mail list you will receive exclusive offers and advance distribution of money saving coupons and promotions. Periodically we also offer coupons and special offers from our Facebook page. You can “like” us on Facebook at Lucy Pet Products to view rebates, coupons or promotions that are made available to the public. Q. Can I try a free sample of Lucy Pet Formulas for Life ™? Yes! We would be delighted to send a free sample of one of our diets to you. Click here to request a sample, or call us at 1-844-724-5829. What does ‘Products with a Cause’ mean? 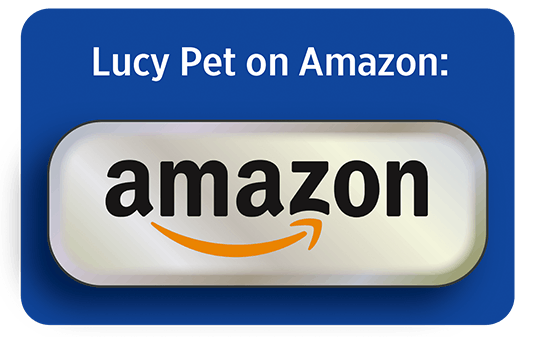 We are committed to helping animals by donating to the Lucy Pet Foundation, whose mission is to reduce pet overpopulation and support other animal welfare causes. Q. What are the most important ingredients in your formulas? A. It is important to remember that no single ingredient is the most important in a pet food. It can be challenging to assess and compare pet foods because there are so many available. Some brands on the market hyper-focus on the first ingredient, or even the first 4-5 ingredients. While these do represent the highest percentage of the formula by weight, a dog or cat would not survive or be healthy on just those first 5 ingredients. In fact, it is the combination of ingredients which contribute to the total nutrient profile and quality of a food. It is critical to understand that protein alone does not provide all of the necessary nutrients for dogs and cats. Q. Aren’t carbohydrates useless ingredients to a dog or cat? A. Carbohydrates can vary in quality and nutrient contribution, depending on the formula. They can play an important role in dog and cat nutrition, such as providing energy, protein, and fiber. The quality of carbohydrates that we use are highly digestible. Q. Is your formula low glycemic? Regarding low glycemic claims, AAFCO recently ruled that there is no standard for what constitutes “low glycemic” ingredients or products for pet food. Such claims could also be false and misleading because the claims imply an effect on the structure/ function of the body that has not been substantiated in dogs and cats, and they are implied drug claims (treat or prevent diabetes). AAFCO has now ruled that any claims of low glycemic foods should not be made any longer. Regarding carbohydrates, The 2017 AAFCO Official Publication for pet food states that nitrogen-free extract and carbohydrate guarantees are not necessary and meaningful to consumers because they are misleading, and discourages these guarantees. In addition, there is currently no standard for what constitutes “low carbohydrate” ingredients or products for pet food or “reduced carbohydrate” products; these statements can be considered false or misleading. AAFCO has now ruled that any claims of low glycemic foods should not be made any longer. Q. How is your kibble different from other brands of kibble? A. To answer your question directly, our food is designed to provide very high quality ingredients that will be utilized in digestion, and will also deliver our blend of prebiotic fibers to the large intestine. Our kibble is designed to provide gut health benefit, while most other kibbles nutrients break down and digest in the stomach or small intestine, and offer little benefit to the gut. Experts now say that 70% of the immune system is based in the gut, so our prebiotic fiber blend will help boost immunity and overall health. Q. I’ve read articles online saying that carbohydrates are bad for pets because they cause obesity and diabetes. What are the facts on carbs? A. Carbohydrates are the PREFERRED source of energy for dogs and cats and are well utilized by both species. There is no scientific or nutritional reason to reduce their concentration in dog and cat foods.The cooking process of extruding and retorting pet food cooks the starch ingredients, making them nearly completely available to the animal, similar to other ingredients. There are many examples of carbohydrates (such as peas, lentils, chickpeas, sweet potatoes, tapioca, potato, and others) that are very healthful ingredients. These all have an excellent carbohydrate, fiber, and protein composition, and are excellent carbohydrate sources in quality pet foods. It is critical for pet parents to understand that obesity is NOT caused by carbohydrates. Obesity is caused by poor feeding practices of dog and cat pet parents who do not follow the feeding directions of the food manufacturer. Health conditions such as inflammation, diabetes, and metabolic issues are caused by many factors, some of dietary origin and some not of dietary origin. To blame carbohydrate ingestion on these conditions is scientifically unsound. Both carbohydrates and proteins (such as animal proteins) have the same caloric value (4 kcal/g). Management of total caloric intake by the dog and cat parent would go a long way in solving the obesity problem currently experienced by pet animals.